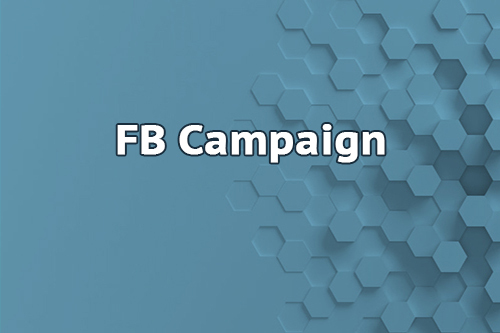 Facebook Campaign | Optimize and get result from your FB ads campaign. Low Cost Web Agency maximizes your chance to convert your Facebook campaign investment into paying customers. Low Cost Web Agency provides you the best Facebook Campaign experience you may have! If you are wondering to share on Facebook your business, product, event or any other business matter, you are at the right place! Facebook is the most used social network in the world which helps lots of businesses in spreading their messages. Most of them only use it to add new posts on their Facebook page. That may not be enough! Web marketing professionals create Facebook Ads and share them beyond your own Facebook page. This is the key of growing your audience, otherwise, your updates will be shared only to the same people that are already on your facebook page. A Facebook campaign is very helpful to get new followers and to transform them into new customers! We highly target your audience thanks to specific criteria defined among nearly 700 different criterias combined together. This is the proper way to optimize the probability to convert your audience into paying customers. The management of your campaign is done directly through the Facebook Business Platform. We have a long experience in boosting online businesses with social network campaigns. Our team consists of highly skilled Social Networks Experts! If you don’t already have a set of images to support your Facebook Ads, please have a look to our product Ads banner. What else, ask for a quote!